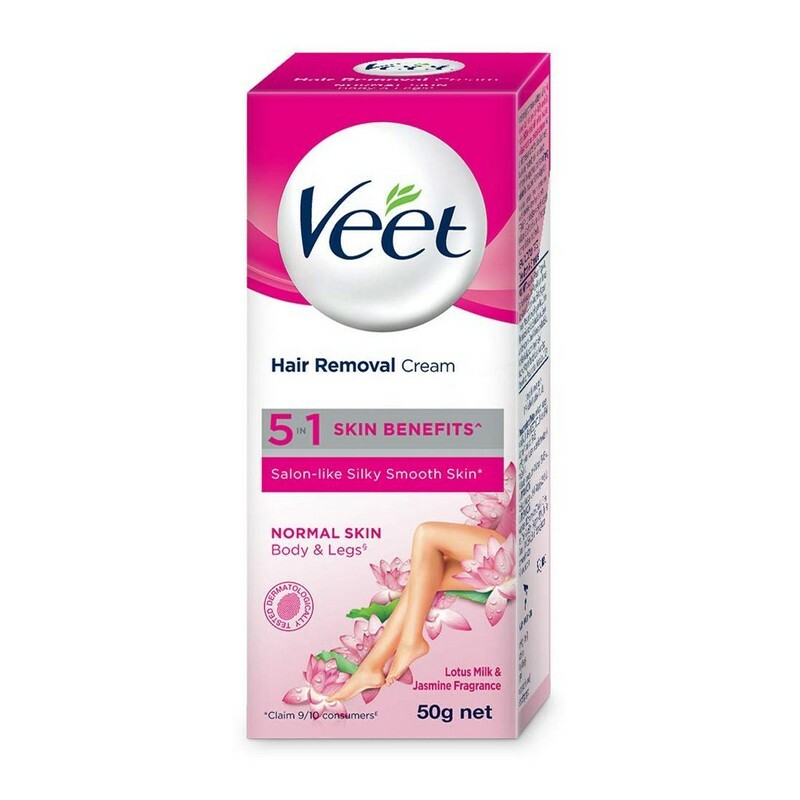 A hair removal cream for normal skin. Remove short, stubborn hair from arms, legs, underarms and bikini line, with this hair removal cream. It removes hair in just 3-6 minutes, leaving skin smooth, soft and moisturized. Formulated with lotus milk and jasmine, this hair removal cream is ideal for normal skin. -Do a patch or allergy test at least 24 hours before using the product. -If there is no allergic reaction in the tested area, then it is safe to apply on your skin. -Take a dollop of the cream on your skin. -Use the spatula to spread the cream evenly. -Let the cream sit on your skin for the stipulated amount of time. -Rinse the cream off with either cold or warm water. -Apply a moisturiser to keep the skin hydrated. -Look for warnings against sunbathing and using cosmetics in the manual.